The Metropolitan Police is to pay more than £400,000 to a woman whose child was fathered by a man who she did not know was an undercover police officer. The unprecedented payment comes after a legal battle with women who say they were duped into relationships with officers who were spying on them. Scotland Yard says it "unreservedly apologises for any pain and suffering". The woman told BBC News she had received psychiatric care after learning the officer's real identity. The Met's payment of £425,000 is part of an agreement for her to drop her legal action alleging assault, negligence, deceit and misconduct by senior officers. The force faces further possible claims from other women who say they were tricked into relationships with Special Demonstration Squad officers. The SDS ran long-term undercover operations designed to infiltrate protest groups, including animal rights organisations. One of its key officers, former Special Branch detective Bob Lambert, used the pseudonym Bob Robinson, and was tasked with infiltrating the Animal Liberation Front. During that operation in the mid 1980s, he formed a relationship with a 22-year-old activist called Jacqui - even though he was already married with children. 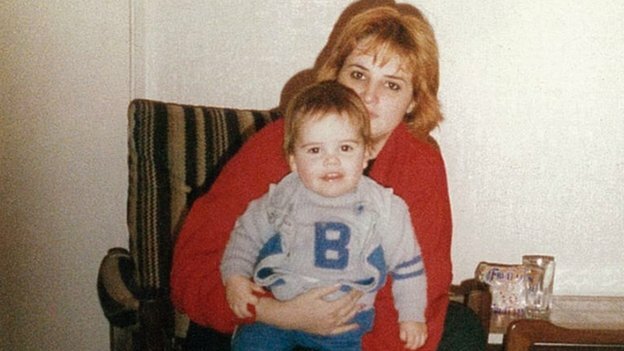 In 1985 she gave birth - but when the boy was two years old, the father vanished. Jacqui only discovered the real identity of her son's father in 2012 after he had been outed by other campaigners. Scotland Yard had refused to confirm or deny whether Bob Lambert was an SDS operative, despite his own admissions to journalists, until it was forced to change its position in August. Mr Lambert has not responded to BBC requests for comment on the settlement - but he has previously said that wanted to apologise to women with whom he had relationships and that he had made some "serious mistakes". Speaking to BBC News and the Guardian newspaper, Jacqui said that the Metropolitan Police's refusal to admit the truth had added to her personal pain and contributed to a mental breakdown requiring treatment at a clinic. She said that she would have rather have had less compensation and more truth. Jacqui said: "The legal case is finished but there is no closure for me. There is the money, but there is no admission by the police that what they did was wrong, there is no meaningful apology and most importantly there are no answers." "I don't know why I was singled out by the police to be duped into an intimate sexual relationship with Bob Lambert. I don't know if he was paid overtime to be with me during the 14 hours of labour I went through giving birth to our son. I feel violated." In March, a police review of allegations of undercover misdeeds said sexual relationships between undercover officers such as those in the SDS and their targets were inappropriate and a "gross abuse" of their position. In a statement, the Metropolitan Police said: "The MPS unreservedly apologises for any pain and suffering that the relationship with Bob Lambert, an undercover officer, has had on this woman. We recognise the impact that the revelation that he was an undercover police officer must have had both on her and her son. "From the outset we have dealt with this lengthy case with professionalism and sensitivity, completely understanding the gravity of the circumstances. We regret if this necessarily complex process has added to her distress. the MPS has never had a policy that officers can use sexual relations for the purposes of policing. " There are 12 other legal claims relating to undercover officers still being fought. But Jules Carey of Bindmans lawyers, acting for Jacqui, said the legal battles so far suggested Scotland Yard wanted to maintain a "never say never" stance to sexual relations after the Met's lawyers argued there could be a hypothetical extreme situation where such a tactic was needed. Mr Carey said: "The Metropolitan Police are prepared to criticise the conduct of an individual officer, Bob Lambert. They are even prepared to be critical of the unit he was from - but they refuse to condemn the practice itself. "It is time for the commissioner of Metropolitan Police to publicly commit to seeing the end of this shameful and abusive practice".